Whenever a constitution is being written for the first time or is being reviewed as is presently the case in Grenada, the significance of the doctrine of separation of powers has to be borne in mind. This doctrine is a constitutional principle, which asserts that the functions, personnel and powers of the major institutions of the state should not be concentrated in any one body. Constitutions therefore usually specify the limits to be placed on the major pillars of government. These pillars are the legislature, which makes the laws (e.g. parliament); the executive which initiates the laws (e.g. the cabinet); and the judiciary which adjudicates on legal issues (e.g. the courts). The doctrine itself has been recognized over many centuries. The doctrine has rarely been used in its extreme form where there was complete separation of powers. However it has been acknowledged by many that the “pure doctrine” represents “an ideal type”. The substantive principles of the doctrine have been utilized by many states over centuries in order to prevent the abuse of power so that the rights and liberties of citizens will not be compromised or jeopardized in any way. Special provisions in constitutions, therefore, whether written, (as in the United States of America), or unwritten, (as in the United Kingdom), make allowances for the implementation of the doctrine of separation of powers. Article 1 of the Constitution of the USA vests the legislative power in Congress comprising the House of Representatives and the Senate; Article 11 vests the executive power in the President and Article 111 vests the judicial power in a Supreme Court and other lower courts. Similarly in varying degrees the doctrine has been reflected in the constitutions of France, Germany and other states which have been developed on the liberal democratic tradition. In Grenada, the 1973 Independence Constitution Order which became effective when Grenada became an independent state on 7 February 1974 also caters, to some extent, for the separation of powers. In the UK, even with its unwritten constitution, limits to power are identifiable not only in certain written instruments like the Magna Carta (1215 AD), the Petition of Rights (1628) and the Bill of Rights (1689), but also by case decisions. The case of Entick v Carrington (1765) established the limit of executive power in English law. In that case it was made very clear that an officer of the state could only act lawfully in a manner which is prescribed either by statute or common law. The passage of the Constitutional Reform Act in the UK in 2005 has further given credence to the doctrine. It is no longer the case that a Lord Chancellor would be able to straddle the legislature, the executive and at the same time, be head of the judiciary, a constitutional anomaly which existed for centuries. In Grenada as well as in other Commonwealth countries, there is no complete separation between the legislature and the executive. This is so because some members of the legislature (or Parliament) are also members of the executive (or the cabinet). In these countries therefore the “pure doctrine” is not being utilized. In the USA however the Constitution exemplifies the ideal. Notwithstanding this, as may be seen from the present situation in the USA, the President, being the executive, and completely separated from the Congress (the legislature) could become a “lame-duck” President and may be unable to undertake the passage of many important measures in Congress from which the country could benefit. His party does not control the majority in Congress. A similar phenomenon existed in Guyana prior to the general elections in that country on 11 May 2015. 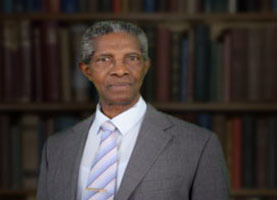 It seems therefore that the situation where there is overlap between the legislature and the executive as is presently the situation in Grenada is quite acceptable. However, one compromise that must never be made is that of compromising the independence of the judiciary. This concept refers to the situation where judges, in conducting their deliberations on certain legal issues, must be free from being unduly influenced by extraneous factors. These factors may involve political pressure from either the legislature, the executive or otherwise; lack of security of tenure and inadequate remuneration. There is a need to have both institutional independence where neither the judiciary nor the judges who belong to it are subordinate to the other public agencies of government; and individual independence with freedom from unwarranted personal distractions. Judges are expected to be objective in their deliberations, and in order for this objectivity to be ensured, it is crucial that the judges are not unduly influenced in order to avoid a loss of confidence in the judicial system by the general public. Whilst framers of constitutions may concede some measure of overlap between the legislature and the executive, no concession must be allowed regarding the independence of the judiciary.